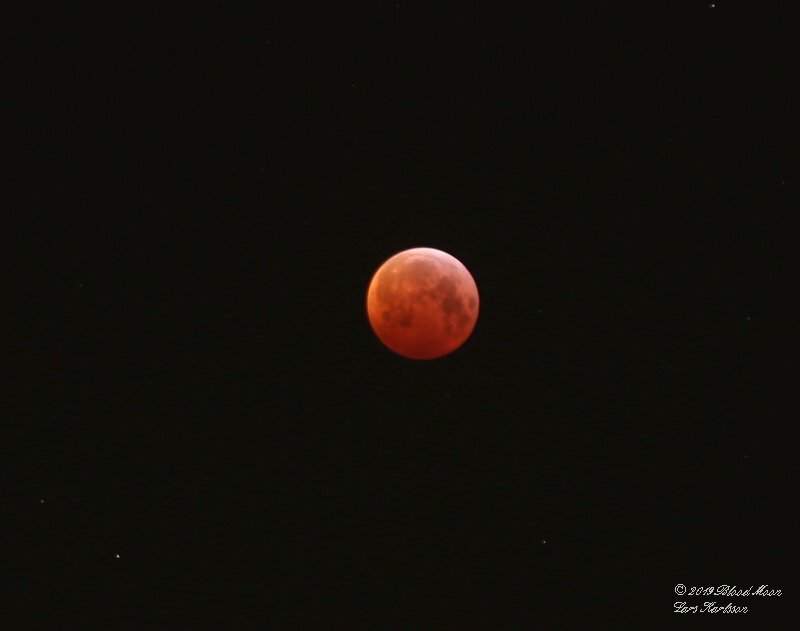 Comment : It was not many months ago we had a Blood Moon, early this morning we had one more. I and my girlfriend set the clock alarm at 5 am local time. 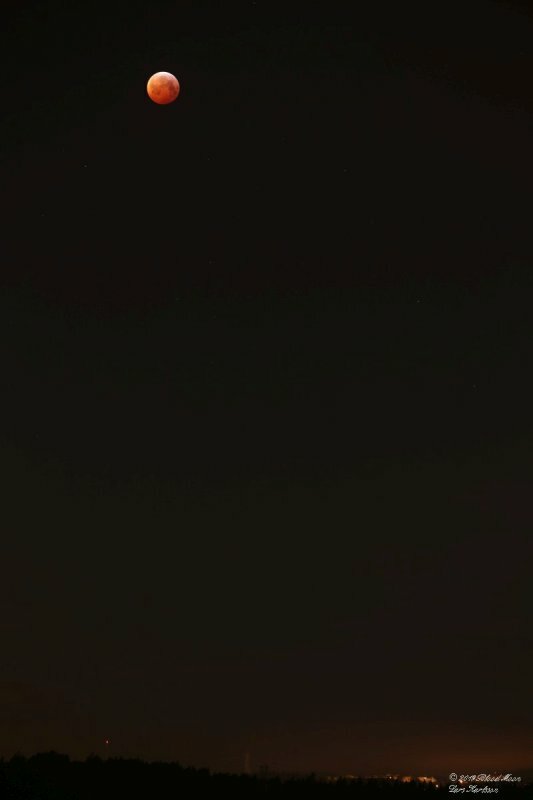 The photo is taken about 20m minutes after the maximum to have the Moon low enough to fit in the field togehter with the horizone. Comment : This photo was taken about 15 minutes earlier. You can now see how the Earth's shadow leaving the rim of Moon. Check your own photos of Blood Moon for impacts!